First things first, most people that search our website are looking for puppies available. So to help you find that quickly here is the link to what PUPPIES WE HAVE AVAILABLE. Now that we have that easy enough for visitor to find let me welcome you to Bluegrass Frenchies located in Richmond, KY. We offer French bulldogs and French bulldogs only. We DO NOT breed any other type of dog. 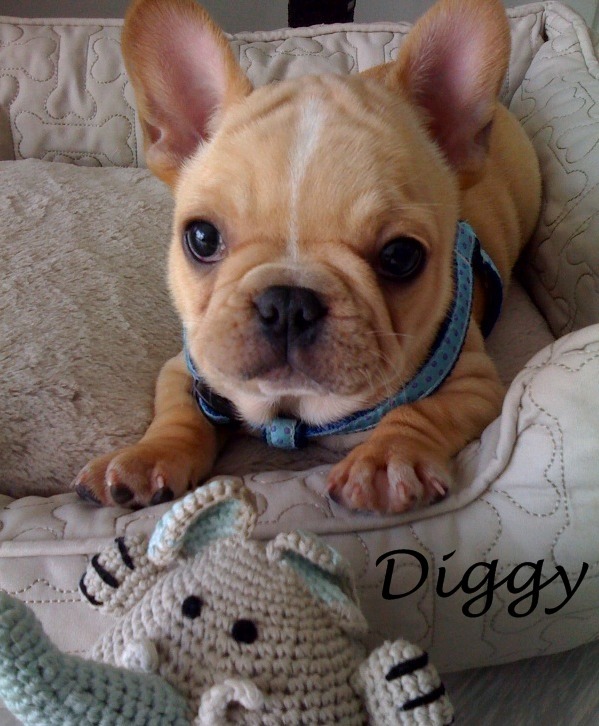 If you are looking for a happy, healthy, social & friendly French Bulldog you've come to the right place. We are proud to show you pictures of our parents when posting their puppies for sale. We have a special page dedicated to OUR STUD DOGS where you can see pictures and click to view their 5 generation pedigrees full of AKC champions! We also share our PLANNED BREEDINGS with families that might be interested. 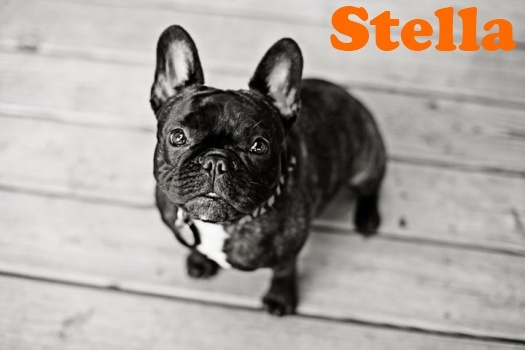 All of our French bulldogs are U.S. bred, born & hand raised with our family, NO imports. 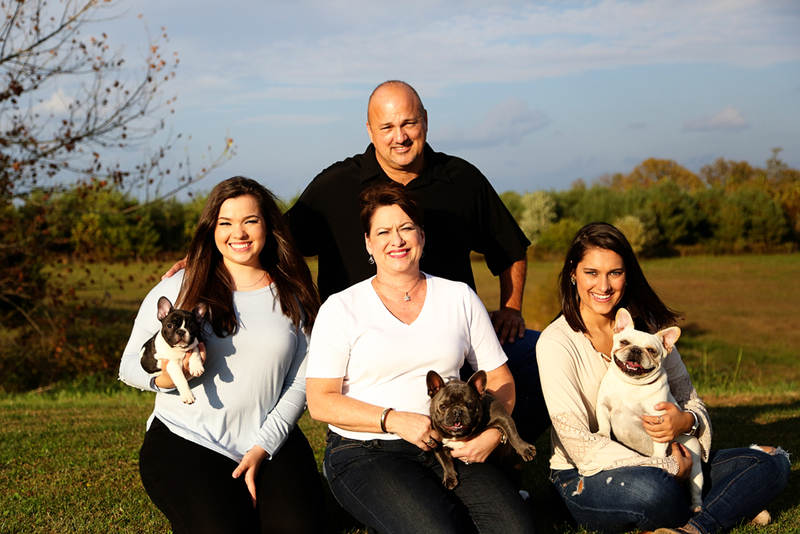 Read the ABOUT US section to learn about our kennel, our family, our French bulldogs, what comes with your puppy from us. To view past French bulldogs and puppies sold, go to our PHOTO GALLERY. We are happy to show you our sold offspring as puppies and as full grown adults. 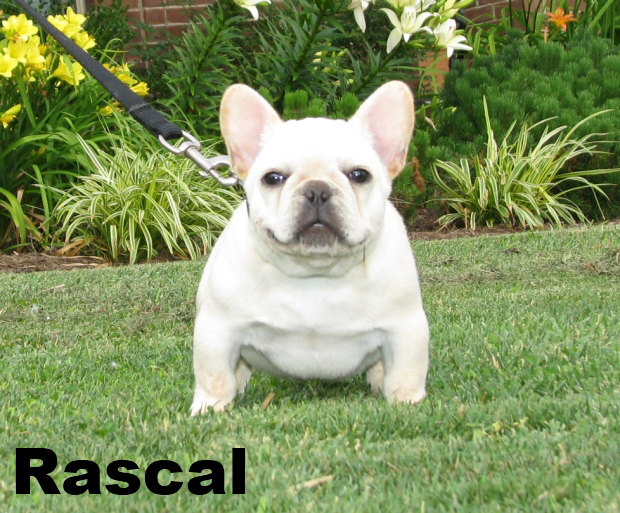 We have beautiful French Bulldogs, short legs, stocky little bodies, and nice large "bat-like" ears. We specialize in creams, fawns, reds and pied Frenchies. Most of our adult French bulldogs have an adult weight of 16 to 22 lbs. All of our puppies come with a one year health guarantee. 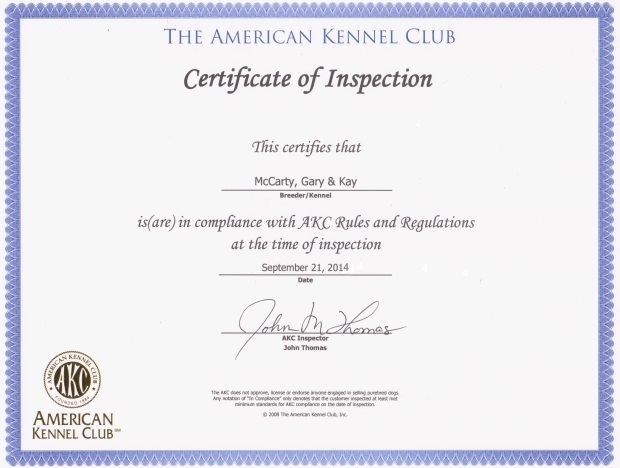 All of our puppies are vet checked, with the first series of shots, and AKC papers. We DO NOT SHIP our French bulldogs in the cargo hold of airplanes. Please know that the health and safety of our French bulldogs remains our first concern followed very closely by making the buying process for our families super easy. We WELCOME all of our families to come here and meet us and see their French bulldog puppy when they are 7 weeks old & when final payment is due if they would like to. Just let us know what day that you would like to come in and VISIT! We request that families schedule this with us at least 2 weeks in advance & we give about an hour for you to be able to play with your new puppy and then we like to get them back to their mamma. We have lots of ways you can get your new puppy from us! We know that NO shipping and wanting face to face meetings with our families does sounds like it would harder to get a puppy from us in Kentucky but we have families FLY in and DRIVE in from all OVER the USA. We even have puppies in Canada. So don't think that this is a difficult thing to do. We will work with you and meet part way as well. If you want a BlueGrass puppy to add to your furry family we will do all that we can to make that as easy as can be. We accept cash, checks or credit cards or for deposits. All deposits and payments are explained in our Preview Adoption Steps. Payments made through our website are tunneled via a secure and encrypted shopping cart system. If you are interested in adding one of our French bulldogs to your family please fill out an ADOPTION APPLICATION or if you have questions call, email or text Kay 859-582-3315. If texting please include your name with the text message. Quality isn't expensive... It's priceless. At Bluegrass Frenchies you get priceless service and quality. That's why our customers keep returning to us time after time. The old adage "You get what you pay for" has never been more true than when purchasing what will soon become an essential and contributing member of your family. Lifetime Support. We don't just breed French Bulldogs our Frenchies are our furry family. Talk to anyone who has one of our French bulldogs and they will tell you that the extra time, love and care we put into hand-raising our French bulldogs is "priceless". We hope that you will take the time to read through our website & see what sets us apart from all of the rest of the pack. Watch out for scams. We are seeing pictures of our French bulldogs in unauthorized places. Some scammers steal our pictures from our site and list them as their own. With this in mind please understand that all photographs and text are the exclusive intellectual property of Bluegrass Frenchies in Richmond, Kentucky. We will prosecute anyone that is using our photos to run scams on unsuspecting buyers. This is no joke and will not be tolerated in any shape, form, or fashion. For helpful tips on spotting puppy scammers click on the link above in order to spot what you should be looking for. See our latest inspection certificate. We are not inspected every year but when we are we've always passed with flying colors. You have to be a breeder in "good standing" with AKC to display this AKC approved banner on your website. If any other type of banner is used (some fakes may feature pictures of French bulldogs on them) it is likely an "unauthorized banner" by a noncompliant breeder. You can click on our banner to go to the AKC website and see upcoming AKC EVENTS.